New Delhi Jan 8 (way2newstv.in):Godse killed Godsene .. After six decades, the case is not to be revoked .. 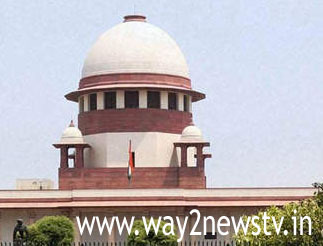 The court appointed Amikis Curry and senior lawyer Amarendra Sharan today told the Supreme Court. The bench headed by Justice SA Bobbade is investigating the case. The bench also constituted a part of the Public Interest Litigation (PIL) which sought to reopen the case as there was a foreign company in Mahatma Gandhi's murder. Supreme Court has appointed Amarendra Sharan as amicus curator. But in his report, Sharan has said that the case does not require a re-investigation. He said there was no evidence to support a foreign company. Gandhi had burnt them from the bullets, a pistol, into the body ... who shot it .. The conspiracy behind it was all clear. There is no doubt about it. Therefore, it is not necessary to have a new real-life committee or revision, "said Sharan. Apart from Gods, there is no evidence that another incognito was involved in the assassination of Gandhi. Sharan also dismissed the petitioner claiming that the fourth bullet was shot dead by an unknown person who had landed in Gandhi's body. In October last year, the Supreme Court had expressed surprise whether it would be a wise decision to re-examine Gandhi's assassination after 60 years. The Supreme Court has said that if the court has raised several questions, it will take a closer look at the various aspects of the pill. In this regard, Sharan was appointed as Amikis Curry and ordered the petition to be examined. This pill was filed by Dr. Pankaj Fadnis of Mumbai. On January 30, 1948, Gandhiji was murdered. Nathuram Godse shot with a gun and killed Bapuji. Godse and Narayan Apte were sentenced to death by the court of the case. They were hanged in November 1949.